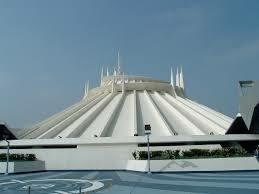 That Disneyland Space Mountain is actually built 15 ft below ground level because of its enormous size! crazy to think we are below ground level! Also Space Mountain was the first attraction to debut at Walt Disney World before opening in Disneyland, in fact 20 of the Magic Kingdoms 23 first attractions were copies of those found in Disneyland.